If there’s one dish that reminds me of the holiday season (from Christmas to New Years), it’s a good cheese ball. I remember as a child I used to help my mom make a dozen or so of these and we would give them out to neighbors and friends. We’d save a few for ourselves of course and I would snack on them for days on end. It really is one of my favorite appetizers. I’m not sure why but I don’t make it at any other point in the year than in December. There are a lot of cheese ball recipes out there but this Quick and Delicious Cheese Ball is my favorite one, which I stole straight from my mom. 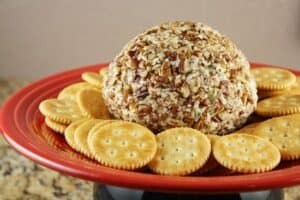 This cheese ball has just a few ingredients but is a complete staple for me during the holiday season. 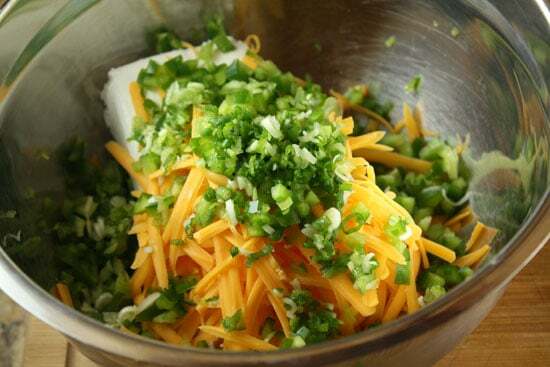 1) Combine cheeses, chopped vegetables, and spices in a bowl. Stir well until combined. 2) Chop pecans and roll ball in pecans. 3) Chill the ball before serving if you have time. 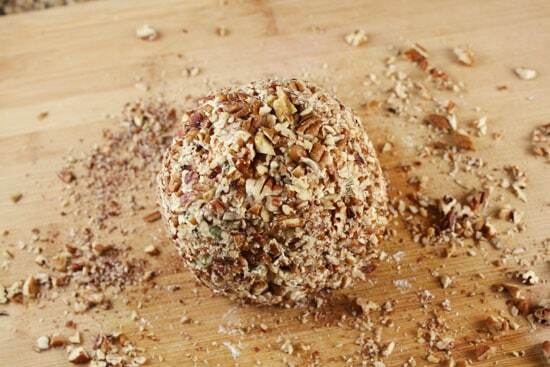 This Quick and Delicious Cheese Ball is a great recipe for kids to help out with. 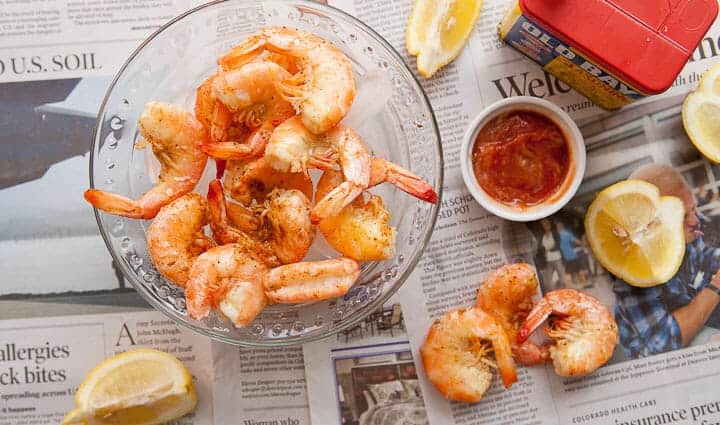 It has just a few ingredients and takes only a few minutes to pull together. 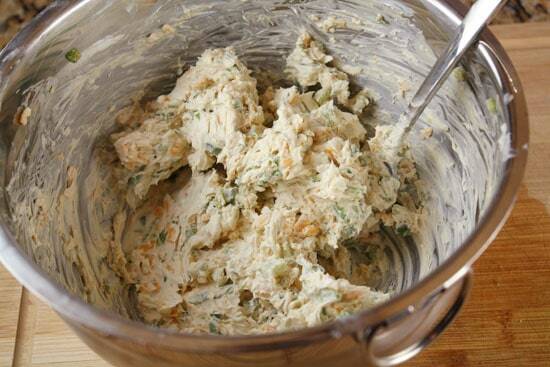 This is easiest to make if you let your cream cheese come to room temperature before you start. It’ll make the mixing easier, but you should be able to mix it no matter what. 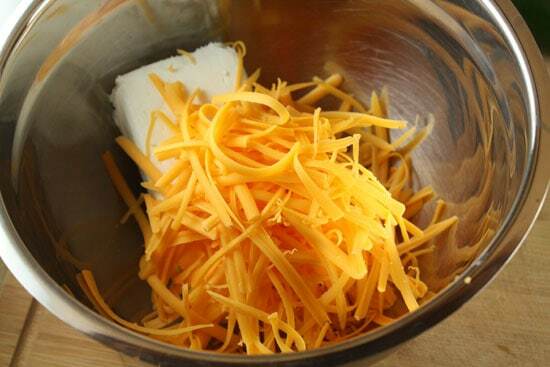 Combine your cheeses in a medium bowl. Then dice up and add all your green stuff. Make sure to mince the veggies finely so there aren’t any huge chunks. Toss those into the mix. Next, add all the spices! Remember that Worcestershire sauce isn’t vegetarian. It has anchovies in it! So if you have vegetarian guests you can use the veggie version which tastes almost identical in my opinion. Stir this all together really well. 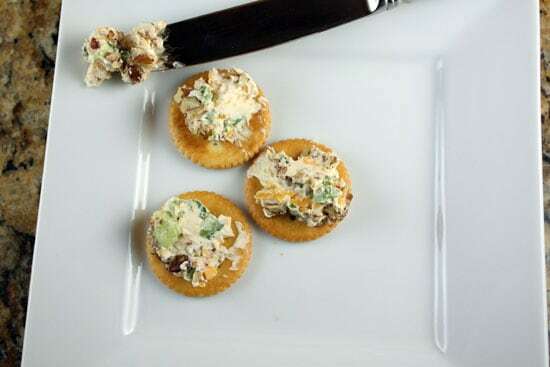 If you’re lazy, you could just use the dip like this and spread it onto crackers right out of the bowl, but if you like a good presentation then chop a few handfuls of pecans and roll the cheese ball out in the pecans so it forms a tight round ball. I think this Quick and Delicious Cheese Ball is best if you let it sit in the fridge for an hour or two to set up but it’s definitely not essential. You can also just eat it right away. I only ate three. Yea right. I like my cheese piled high and deep on my cracker. While this Quick and Delicious Cheese Ball appetizer reminds me of the holidays, I’m not really sure why. 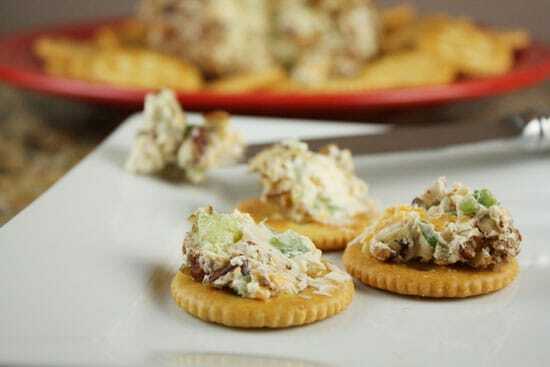 This is such a quick and delicious appetizer you should feel free to use for any occasion. Say New Year’s which is right around the corner! Even though I ate 2 or 3 of these by myself over the last few days, looking over this post still makes me want more! Back to the origins isn't it? It looks very nice and I am sure the taste is wonderful..
Homemade cheese balls are so much more appealing than the store-bought versions! Looks great! I actually have vegetarian Worcestershire sauce in my fridge right now! I bought it to make chex mix and had no clue if I'd ever use it again. Now I have my chance. Yay! This looks amazing. Hi, Nick. This looks great, and I actually have all the ingredients on hand, save for the bell pepper. I'm thinking celery will add similar texture, though not quite the same flavour. 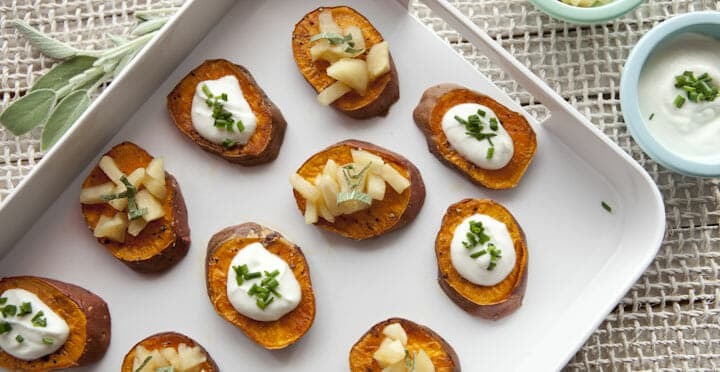 I'm a big fan of retro cuisine and cheese balls (not to mention where they intersect, Amy Sedaris), so I'll definitely give it a go. I saw the cheese ball picture and thought you'd stolen mine (but taken a better photo). Then I read the recipe. It IS the same one. 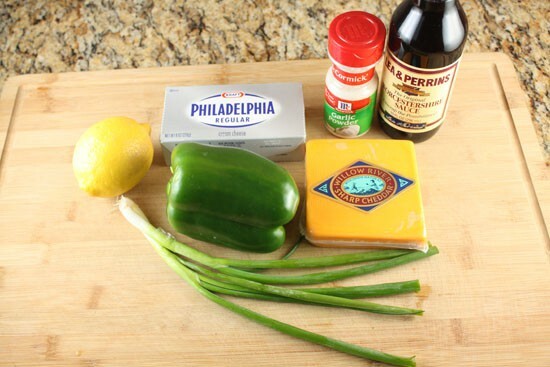 This is the best cheese ball recipe ever! My daughter's fiance' had a cheese ball sandwich with it. Anyhoo, I was pretty sure you were trustworthy after looking at other pages, but this cinches it. You do know your cheese…two thumbs up! I made this cheeseball for a party yesterday. It was well received; I got many compliments. Thanks for posting your mom's recipe! 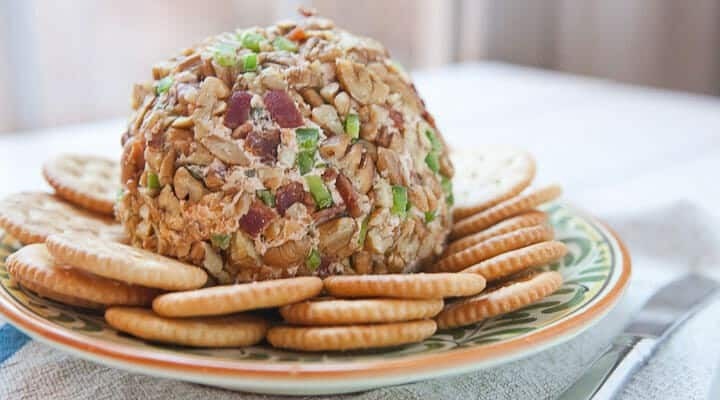 i made the cheeseball for a super bowl party yesterday and it was a huge hit! One suggestion I got was to add some bacon to it, which I will def. do next time!